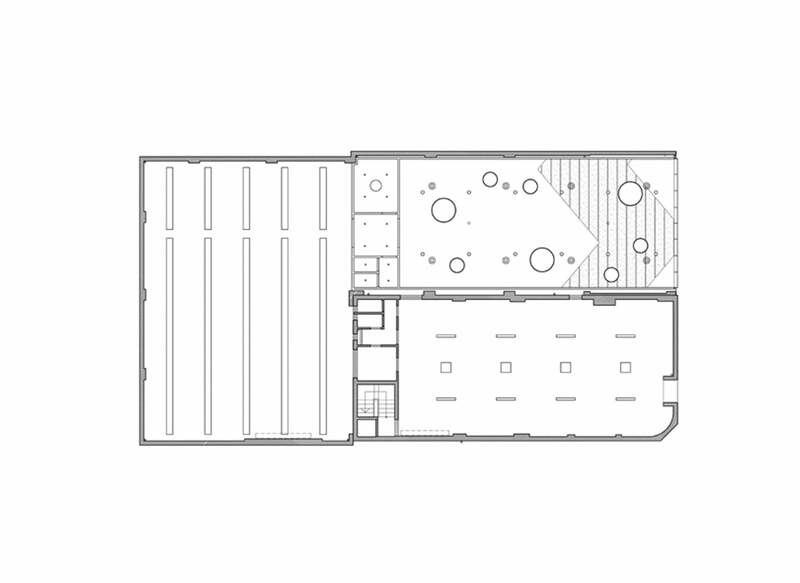 This is a multi-use commercial refurbishment of a former automotive workshop on Johnston Street containing a new furniture showroom (Sacha Design), fabrication workshop/carpark, and lettable retail space. 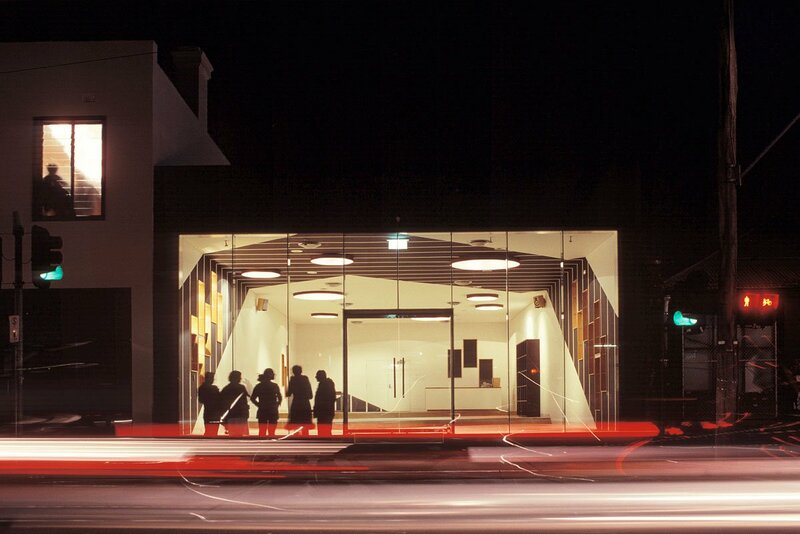 Situated in the emerging ‘design’ heart of Fitzroy, the project helped consolidate the streetscape by infilling what was previously a gap in the façade used for off-street parking. 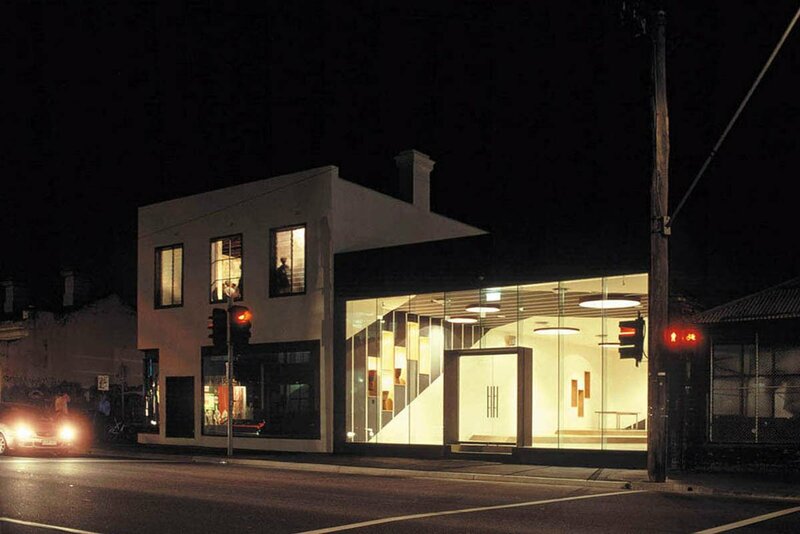 The showroom was conceived as an 18 metre deep display zone extending the full visual depth from street to interior. 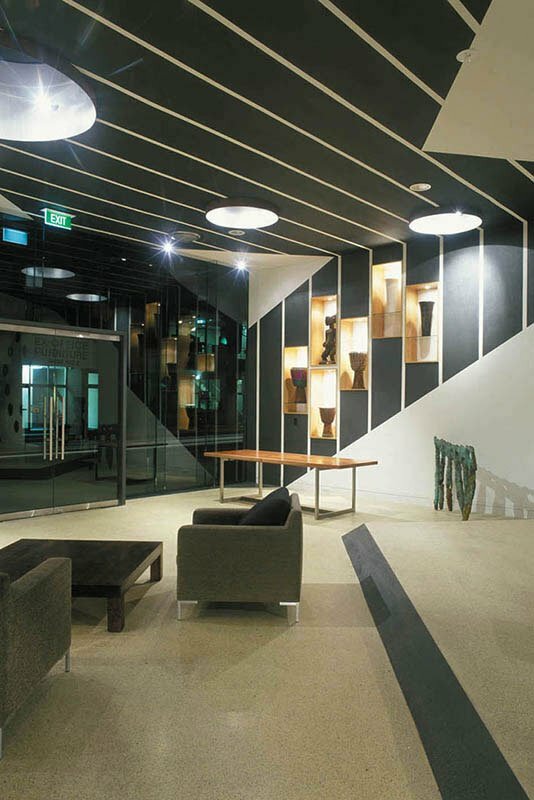 The interior is organised according to a regime of ‘zig-zag’ levels designed to best accommodate various furniture settings as one gently rises through the showroom. This not only assists to organise the display, but also promotes greater visual access to the merchandise from Johnston Street. 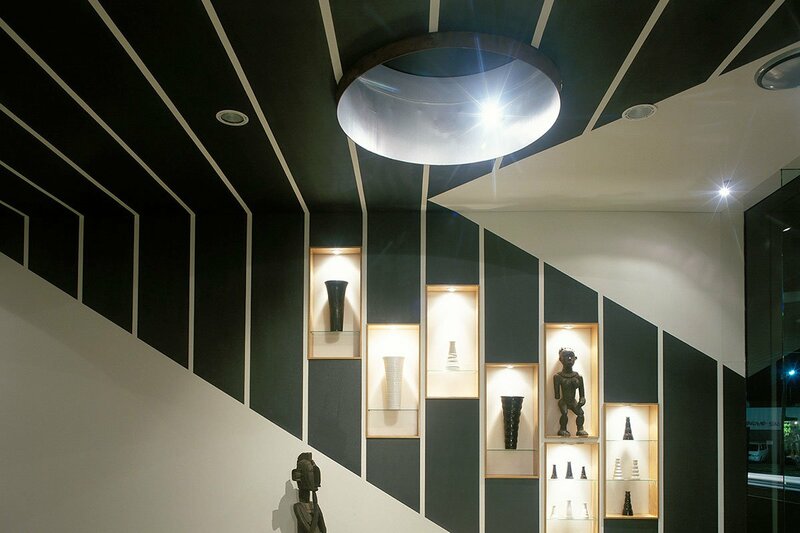 The same ‘zig-zag’ regime is carried up the walls and across the ceiling in the form of a charcoal coloured band which further intensifies the shopfront appeal and contains illuminated recesses for the display of smaller items. 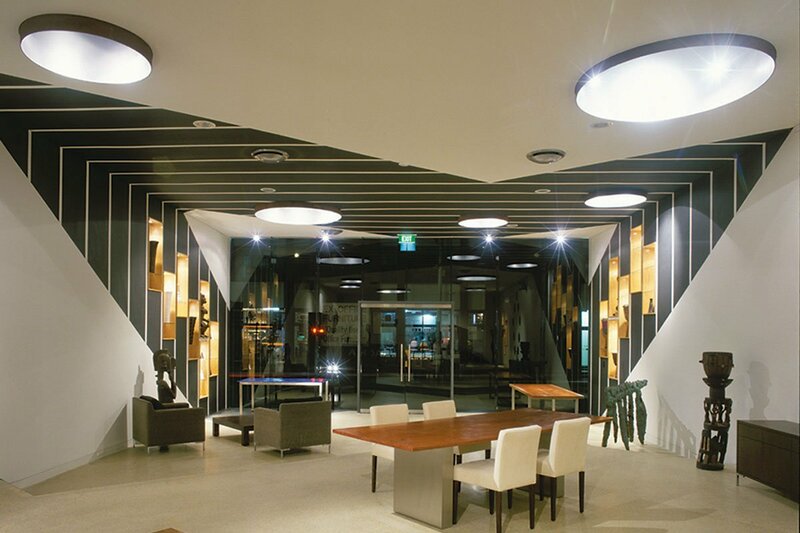 Natural daylighting of the showroom via large circular skylights extensively reduces the need for artificial lighting during daylight hours whilst the workshop/carpark area behind incorporates fiberglass strip roof-lighting installed within the existing roof system. 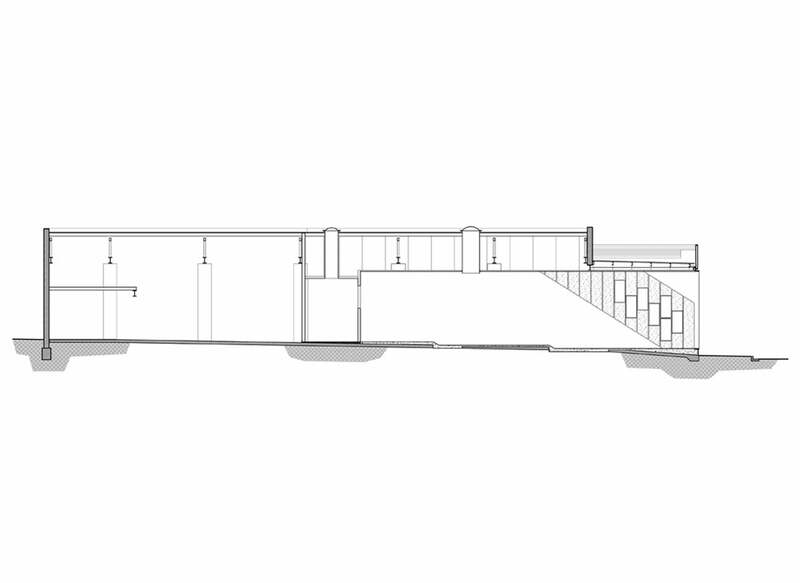 Placement of the service functions (office, store, toilets, kitchenette etc.) 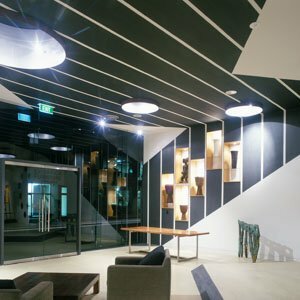 and the detailing of a sound-isolating wall, enabled us to achieve adequate acoustic separation between the workshop/carpark and front-of-house retail zones. 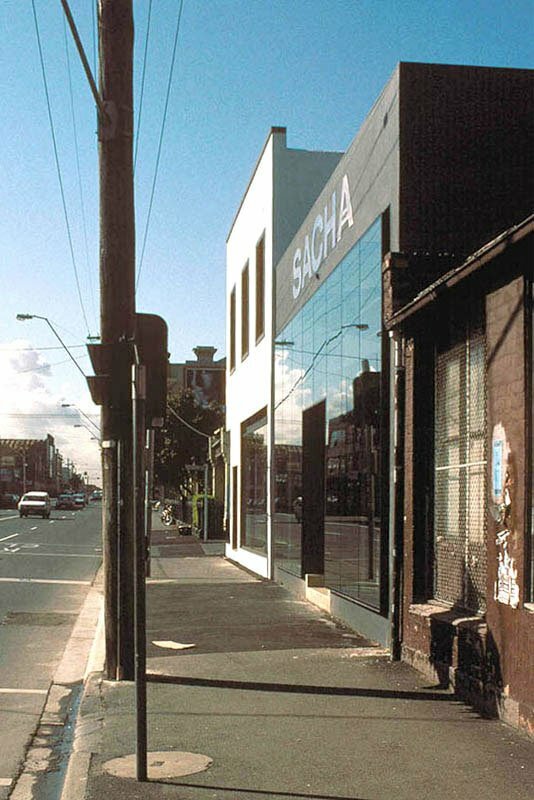 Design of the façade glazing system demanded particular attention to ensure that its presence would not detract from the overall effect of promoting the showroom interior. During its procurement, the development involved significant liason with the EPA to ensure compliance with legislation governing onsite contaminants (the premises contained underground fuel cells), and with local council regarding parking ratios, signage and heritage guidelines. Whilst the overall premises was not formally subdivided, each component of the development was separately serviced for ease of subdivision at a later date.